A stallion bursts it way out of a gourd, its tail streaming out behind him and the hooves raised in a gallop, lending the piece a dynamic sense of movement. The subject matter refers to the Sennin Chok’aro, whose familiar was a horse whom he could magic out of a gourd. The Taoist rishi refused all offers of high office, preferring his simple wandering life. His horse could carry him over great distances, but when not needed lived in an inanimate state in his master’s gourd. 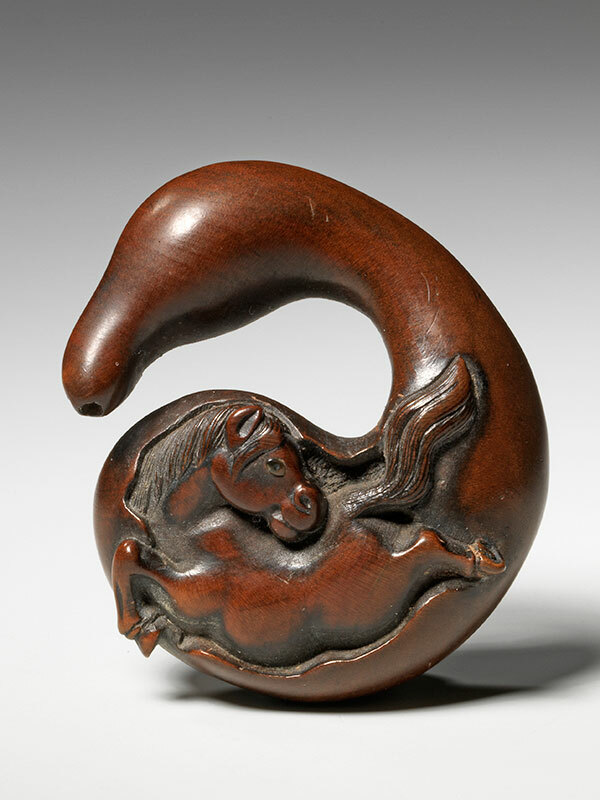 The expression hyotan kara koma (horse from a gourd) signifies an unexpected occurrence. Naiito Toyomasa typically signed within a reserve, though examples exist where there is none. 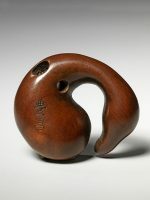 A comparable netsuke, containing a dragon, and signed by Toyomasa at the age of 82 is in the collection of the V&A (W386-1916). There is some discussion over Toyomasa’s later work and that of his son, Hidari Toyomasa. 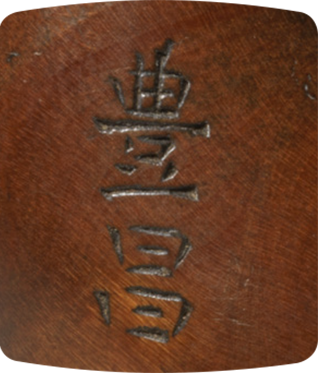 The two are known to have collaborated during the elder’s later life and this may be the work of the younger Toyomasa or a member of the Toyomasa studio.